Allen & Heath QU16 Digital Mixing Desk The Allen & Heath heritage continues into the modern era with their latest line-up of Digit.. The Allen & Heath heritage continues into the modern era with their latest line-up of Digital Mixers. Descending from the GLD and iLive desks, QU-16 builds on their world class mixer portfolio. 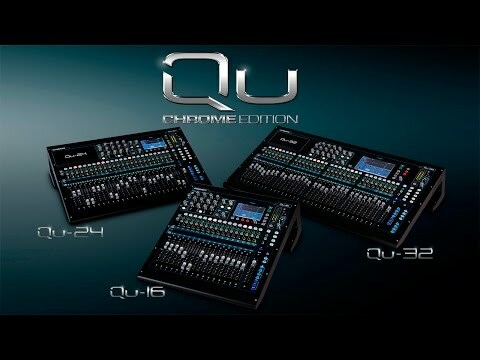 Offering seamless digital control over every aspect of your live show and harnessing the full potential of digital connectivity, the QU16 offers multitrack recording direct to USB, Automatic Mic Mixing, ProFactory mic presets, plus an ever growing ecosystem of apps, accessories and remote I/O. At the heart of the QU-16 lies an 800x480 True Colour Touchscreen, which provides detailed real-time information of every parameter of your mix. Dedicated keys and screen tabs quickly guide you to meter and RTA views, FX racks, channel processing, USB audio control, scenes, setup menus and much more. Complementing the touchscreen is the SuperStrip – a set of single function physical controls for instant access to gain, HPF, 4 band PEQ, gate, compressor, GEQ and pan. QU-16 can also store up to 100 custom scenes - a truly digital mixer should always allow you to recall every parameter in a heartbeat. QU16 features 17 motorized ALPS faders - 16 allow instant access to all input channels and masters over 2 layers, and a dedicated master fader dynamically follows the Mix selection. A third user-defined Custom layer is available for ad-hoc strip layout, where any combination of Inputs, FX Sends, FX Returns, DCA’s and Mix masters can be assigned. The Allen & Heath AnalogiQ preamps are digitally controlled, featuring advanced zero-crossing detection and a padless 1dB ste gain stage. 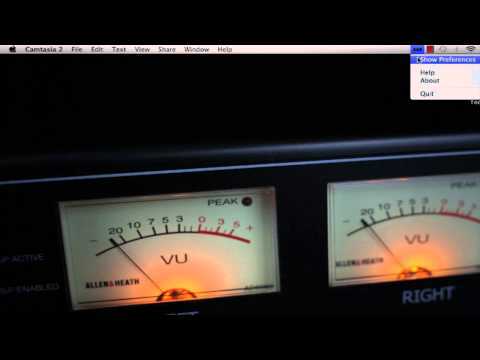 A truly transparent and accurate response, leaving you to manipulate your sound with DSP and powerful EQ as you see fit. The AnalogiQ preamp design has been refined to offer superb transparency, minimal distortion and an ultra-low noise floor, with a warm, musical sound that is missing from some digital consoles. Allen & Heath have designed the QU series to be as straight-forward as possible when it comes to mixing under pressure. Teaming up with some of the industry's leading microphone manufacturers, the A&H ProFactory Mic Presets offer optimal settings for vocals, guitars, drums, brass and woodwind instruments. Quickly choose from the EQ Library for the world's most popular microphones. No Hassle, no fine tuning required. Just plug in and go! 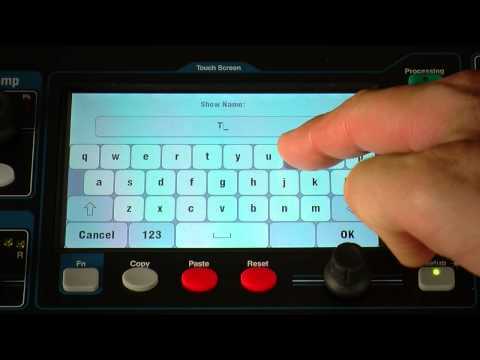 QU-16 also features a proprietary Automatic Mic Mixer (AMM) feature. Reducing background noise and minimising the risk of feedback, AMM helps the engineer to manage the levels of multiple mic inputs, ensuring that each speaker’s contribution is heard clearly. The D-Classic dynamic gain sharing algorithm is inspired by industry standard automixers. Up to 16 microphone sources can be mixed at once, with each channel having a priority setting which determines its ‘weight’ in the total system gain. Qu-16 has an integrated multitrack USB recorder, providing 18 channels of 48kHz, 24bit recording and playback straight to / from your USB key or hard drive. Qu-16’s built-in audio interface streams up to 24 selectable tracks to your Mac or PC and returns from the computer can be easily assigned to the Input channels. The interface is class-compliant on Mac OS X making it truly plug ‘n play and will be recognized straight away by any DAW supporting Core Audio, including Logic, Cubase, Reaper, and Pro Tools. An ASIO and WDM compatible driver is available for Windows computers. Standard MIDI control is tunnelled over the USB connection so you can map the faders to the tracks of your favourite DAW. A DAW Control driver is available for easy setup and emulation of HUI or Mackie Control protocols on Mac OS X and Windows systems. Qu-16’s dynamics and FX are derived directly from the algorithms in the iLive pro touring series. Some of the world’s most respected audio engineers have chosen to use iLive’s FX on tour in preference to top-end plug-ins and external FX units. Qu-16 boasts 4 stereo iLive FX engines, featuring lovingly crafted emulations of legendary classic reverbs, gated reverbs, delays, modulators and more. QU is an entire ecosystem with Remote AudioRacks allowing I/O to be placed where it’s needed, ME Personal Mixers expanding monitor mixes and enabling simple, time-saving local control, Qu Apps for complete remote setup and wireless mixing on stage or anywhere else in the venue, ProFactory Mic presets to speed up preparation time and ensure the best sound, plus USB recording and DAW integration for powerful workflow optimisation from one centrepiece device. QU-16 has been designed to offer a seamless mobile mixing experience, compatible with your smartphone or tablet and accompanying QU apps. 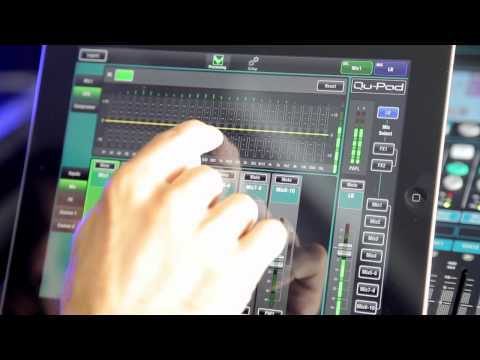 If you're sound checking in a live environment, referencing your mix via iPad or iPhone can be an invaluable tool for tweaking and adjusting your mix on the fly. 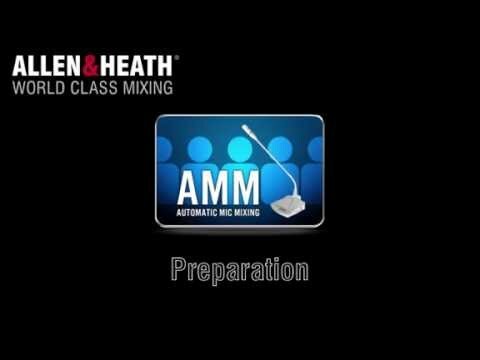 Allen & Heath are one of the few remaining bastions of world class British manufacturing. Their analogue mixers have become synonymous with accuracy, reliability and excellence, and the QU Series follows suit in a digital format. Timeless sound quality combined with cutting-edge technology make these mixers some of the best in the world, period. Combine a feature set with Allen & Heath's history as a trusted, reliable brand used by professionals around the world, and the QU Series is a no brainer for audio professionals in any application.